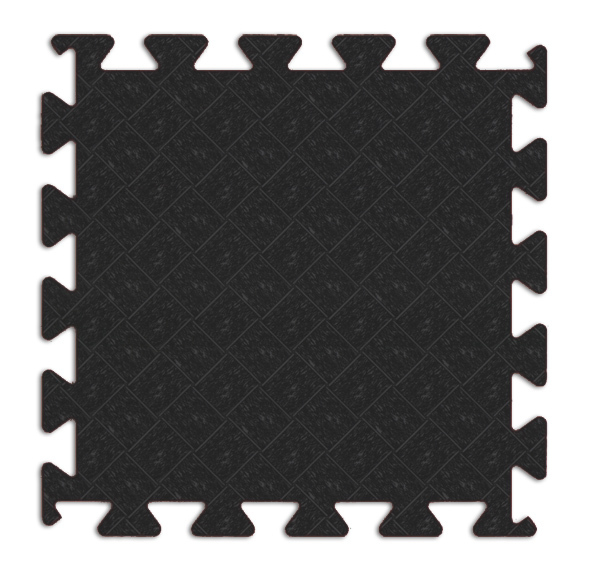 The Easy Tile Solid Modular Mat was developed with a wide variety of applications in mind. From the kitchen to the training room, these tiles will perform under the harshest conditions. Made of a SBR/NR non-staining, non-marking rubber compound, your options are endless. Nitrile has been added for grease and oil applications. The Solid Tile was developed with anti-fatigue and stationary applications in mind. 16" x 16" x 3/4" [L x W x H]7 lbs.